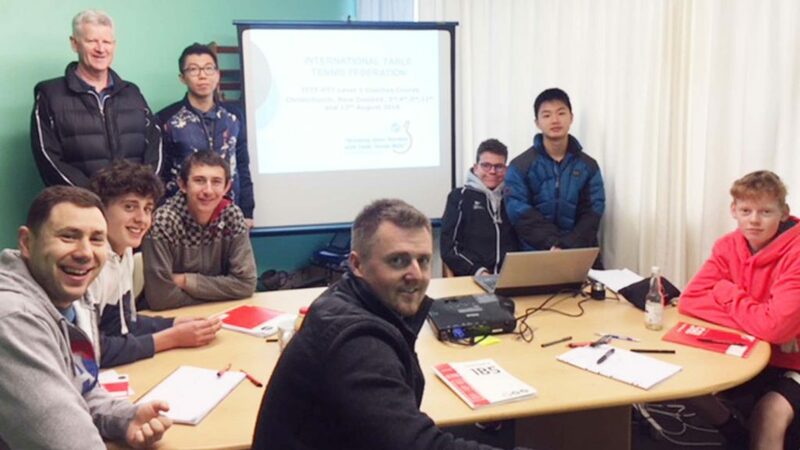 Situated in the South Island of New Zealand, Christchurch, the garden city and principle city in the Canterbury region was the venue for a recent five day ITTF/PTT Level One Coaches Course. Organised under the auspices of ITTF High Performance and Development, self-funded the course was held over two consecutive long weekends; from Friday 3rd to Sunday 5th August and on Saturday 11th and Sunday 12th August; the reason being to meet the times when both junior and senior players would be available. 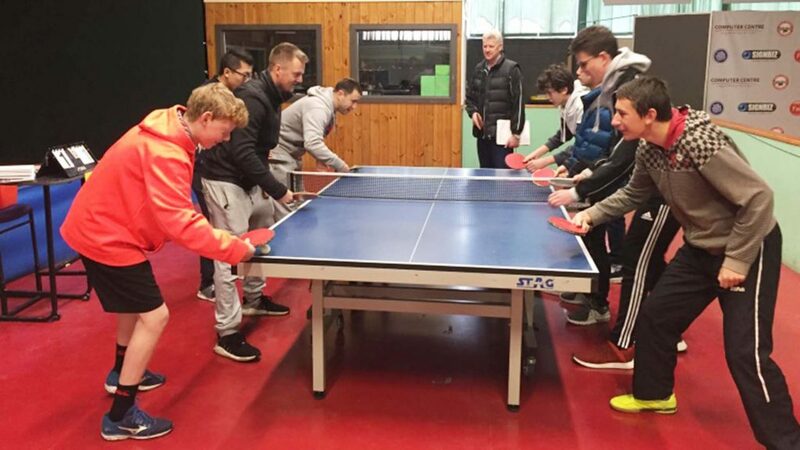 The venue for the whole proceedings was the Table Tennis Canterbury stadium with 18 tables available throughout; the Course Conductor on duty was Grant Wilson from Christchurch. Overall, a total of eight students completed the course and are now completing their 30 hours of practical coaching in order to receive their award. Pertinently, three of the students are all ranked inside the top 30 players in New Zealand and three of the young players are current New Zealand junior internationals. 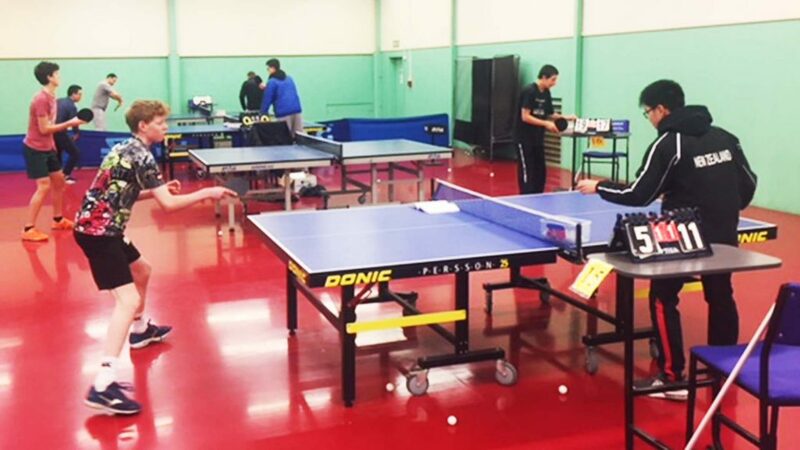 Notably all the course members are actively involved in Table Tennis Canterbury’s coaching programmes for players of all levels from novice to the Canterbury squad training for the National Championships in October. 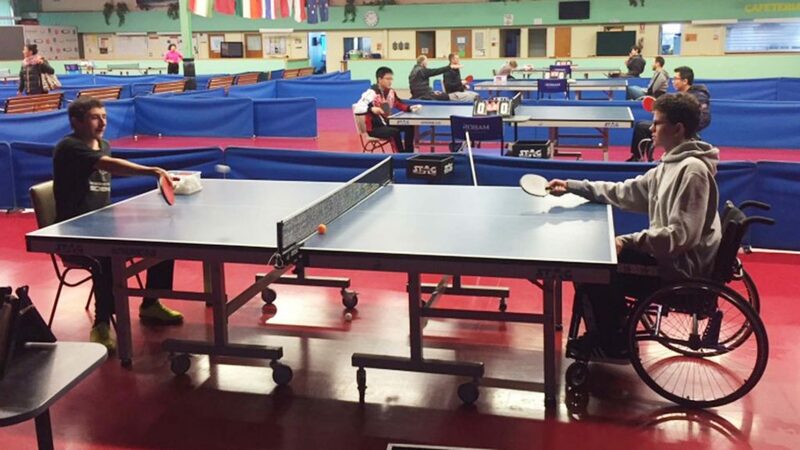 Eyes on success in two months’ time and a course member was Hongyi Li, he is the fourth ranked player in New Zealand. Undoubtedly, Hongyi was well aware of the requirements needed to become an effective coach; international players may know what to do but transmitting that knowledge is a totally different ball game. A major part of Grant Wilson’s task was to advise on the fundamentals of efficient coaching techniques. A most successful course, one for the benefit of not only the local area but in the long term, undoubtedly it will be of value for the whole nation.